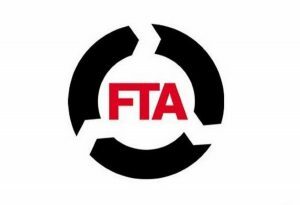 The Freight Transport Association (FTA) has announced the launch of its new Van Excellence Certificate of Driver Competence. A signifier of excellence in terms of compliance with best practice in the maintenance and environmental performance of fleet services, the Van Excellence scheme is now being extended to provide individual accreditation for drivers. This new certificate will be available to heavy and medium goods vehicle operators across the UK, with a focus on driver competence and ensuring professional road users are demonstrating the best skills in terms of the upkeep of their vehicles and when out on the roads. FTA head of vans Mark Cartwright commented: "This project really underlines the strength of Van Excellence. Accredited operators of the scheme very often share best practice and the need for a nationally-recognised van driver standard was identified from this. "Operators want to demonstrate that their drivers are professional and take their duties seriously. They've worked closely with us to develop the course and the qualification process." Assessments will take place during one-to-one training by instructors and via electronic testing, with members of the road transport profession able to demonstrate their commitment to their job and to their development by taking part in the programme. More information regarding the new Van Excellence Certificate of Driver Competence can be found by visiting the FTA's website.